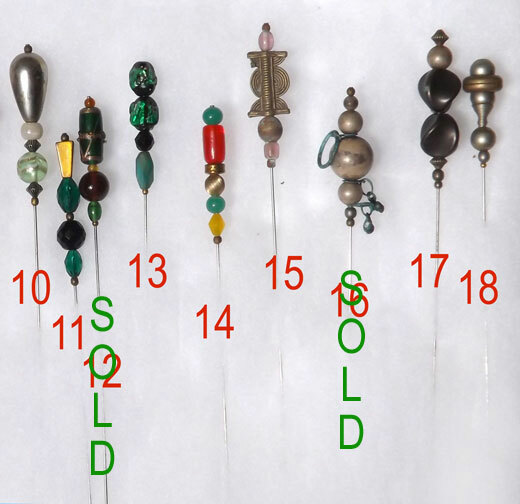 A hatpin is a decorative pin for holding a hat to the head, usually by the hair. 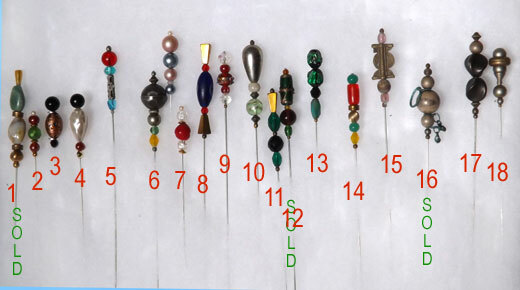 In Western culture, a hatpin is almost solely a female item and is often worn in a pair. They are typically around 20cm in length, with the pinhead being the most decorated part. The hatpin was invented to hold wimples and veils in place, and was hand-made. In Britain, demand eventually outgrew the number that could be supplied by hand-making, and they began to be imported from France. In 1832, a American machine was invented to manufacture the pins, and they became much more affordable. In Britain, they rose to popularity towards the end of the Victorian era, and continue to be a popular accessory. These pins are an overview of what is currently in OUR SALON. 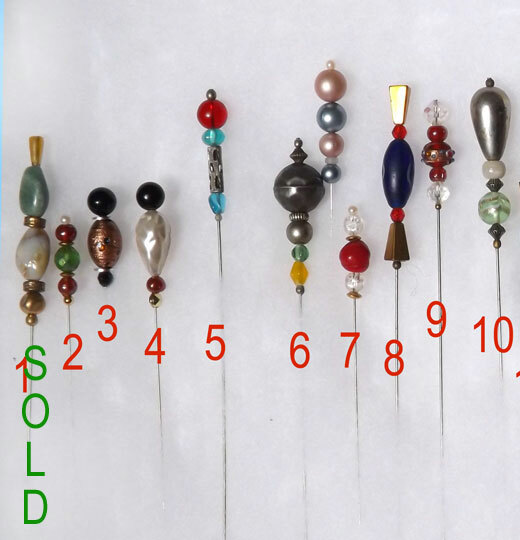 Theses are one-of-a-kind beaded hat pins (not mass produced). Styles are sold and change periodically. Like the "originals" - They do not have an "end cover"
Please call the Salon (734-284-3417) for availablity.